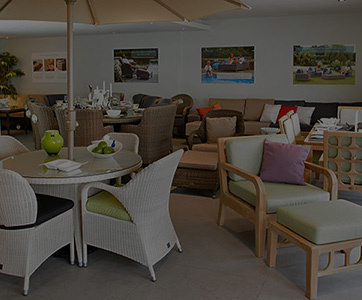 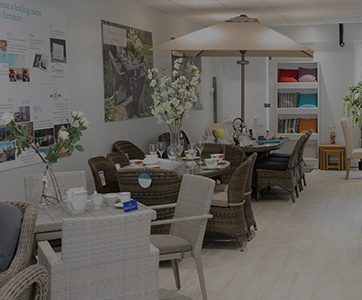 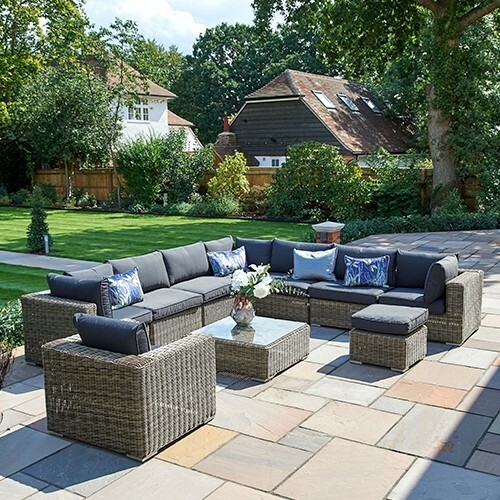 Extend your style into your garden with this finely functional and highly stylish garden furniture from the Mayfair collection. 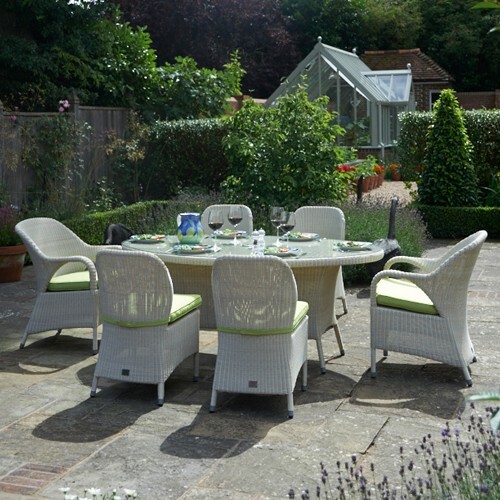 This garden dining set provides all the comfort and luxury of indoor dining, yet out in the fresh air and sunny setting of your garden. 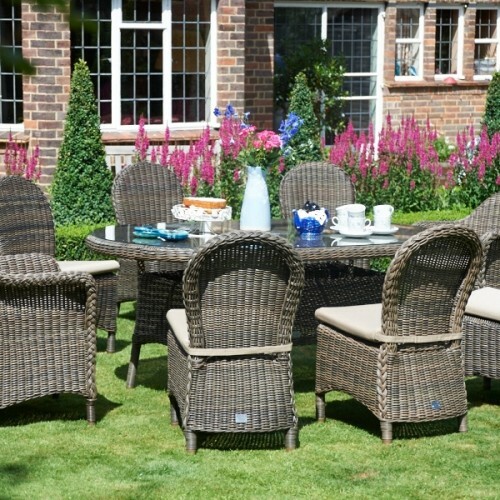 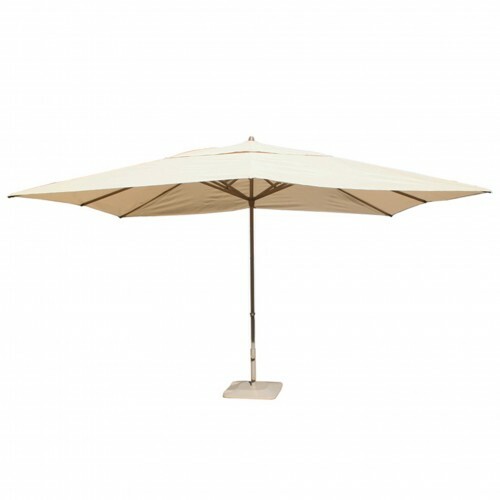 You are sure to be impressed with the quality construction of this set and fabulous woven finish achieved with synthetic rattan that is completely weather resistant. 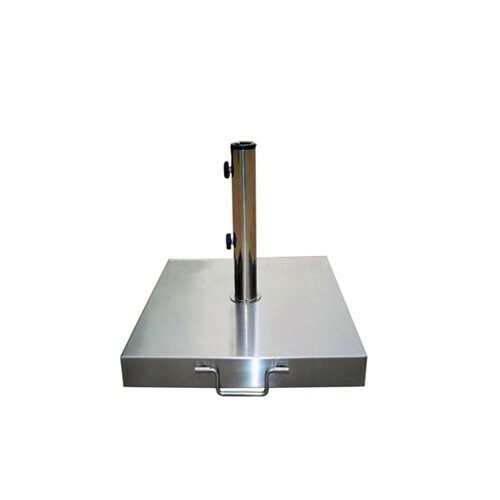 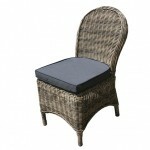 This makes the finish not only attractive but long lasting without the maintenance. 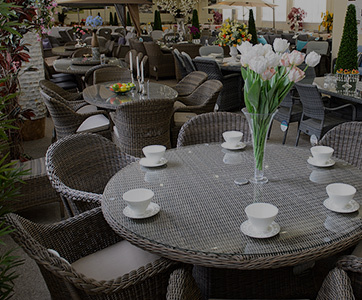 That's one less thing to worry about when hosting a gorgeous garden party. 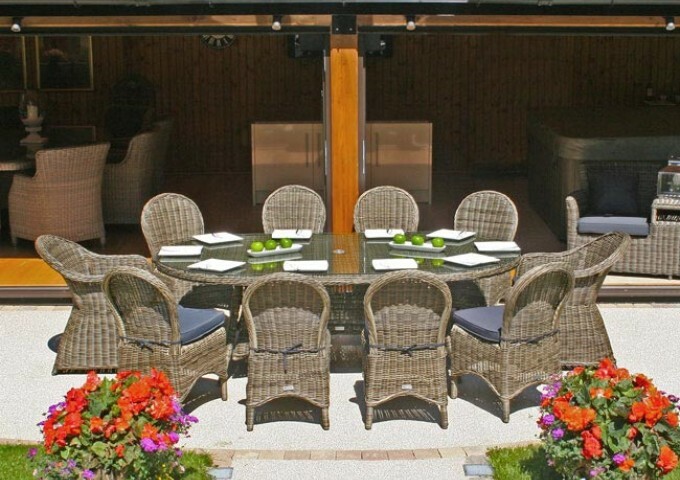 This spacious dining set will leisurely accommodate a large group of friends or family with the 230cm Mayfair oval table, two Mayfair dining armchairs and eight Mayfair dining chairs. 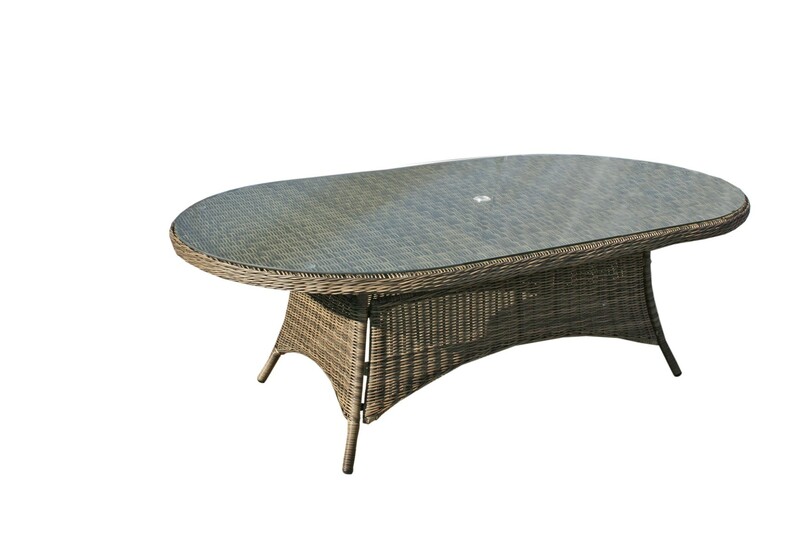 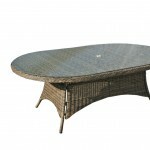 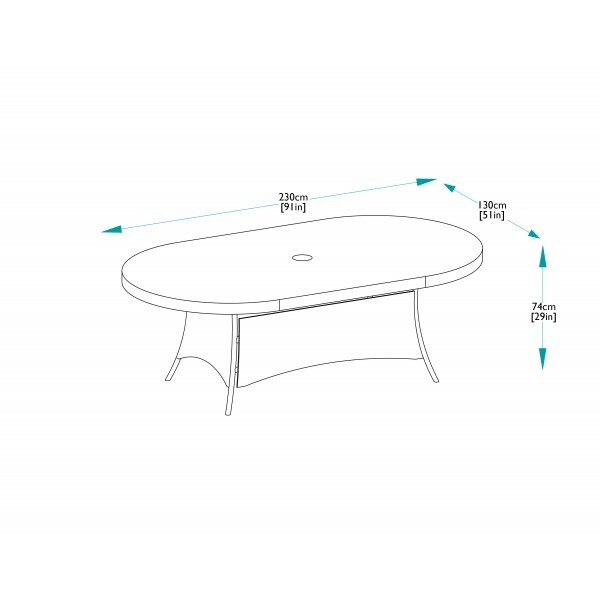 The table comes surfaced in strengthened safety glass and is fitted with a hole in the centre for an optional lazy Susan and a parasol. 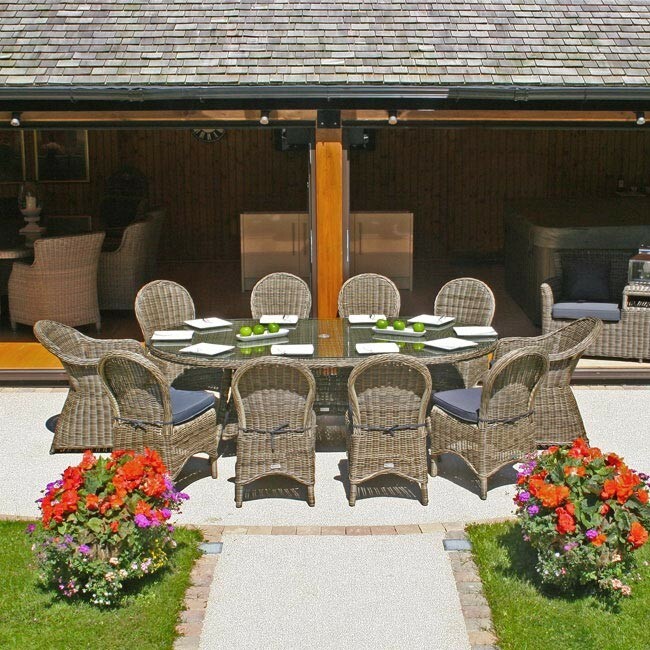 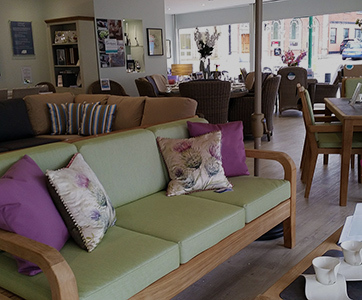 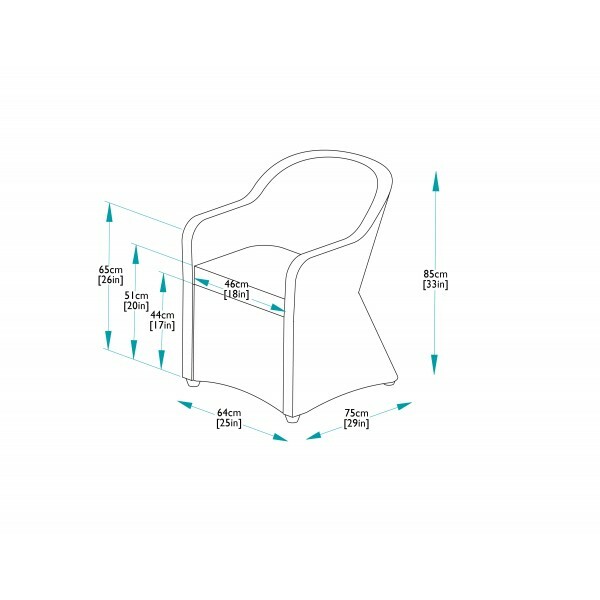 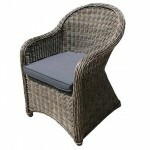 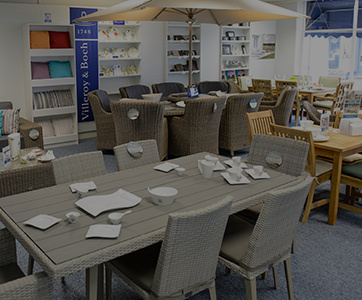 The matching chairs boast an effortlessly elegant style that will look at home on a patio, deck or in a conservatory. 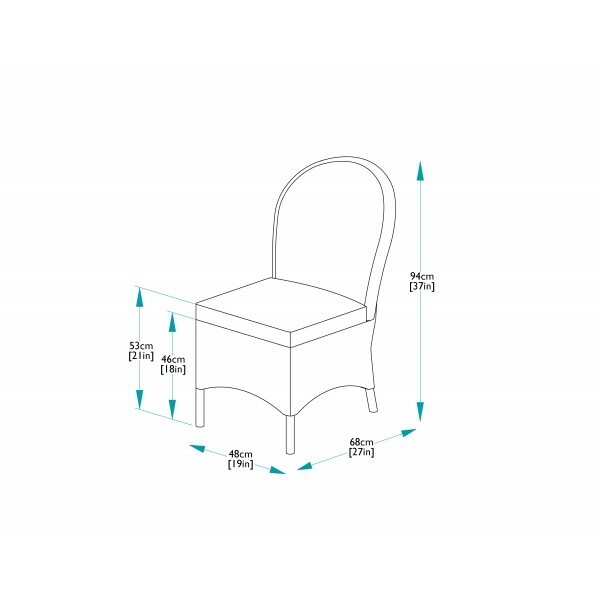 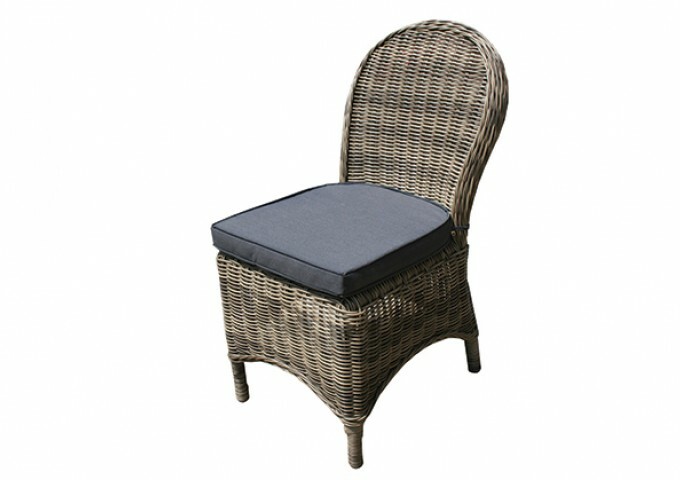 Comfort is key, so this dining furniture comes with a set of quality seat pads that are upholstered in a smart grey fabric. 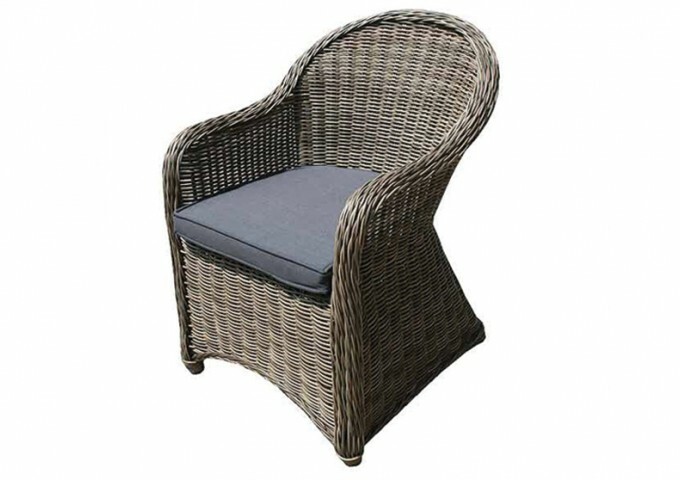 The look is easy to maintain; the cushions covers are removable and machine washable, and the occasional clean is all the rattan requires.